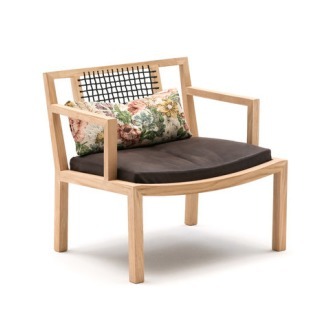 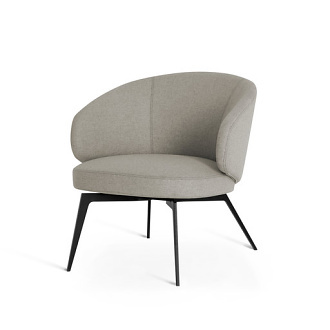 Armchair with the structure of the back in profiled steel and the seat in poplar plywood. 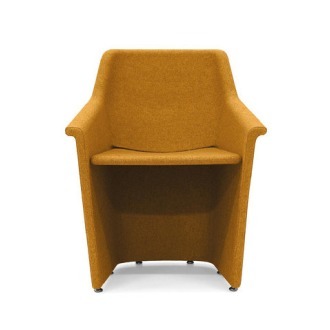 The padding is in flexible coldfoamed polyurethane covered with fibre. 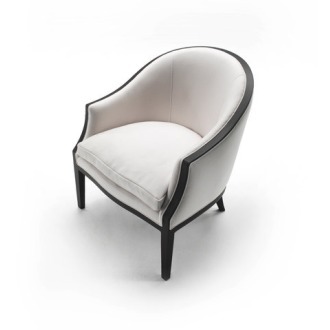 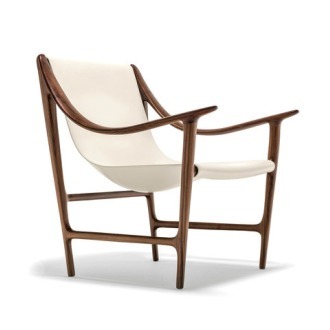 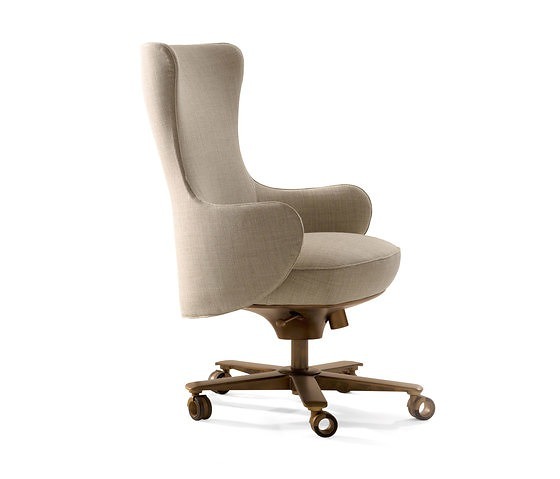 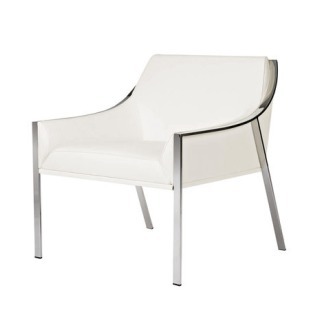 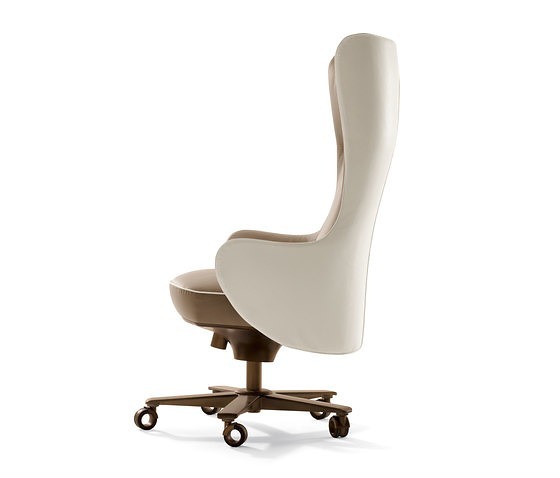 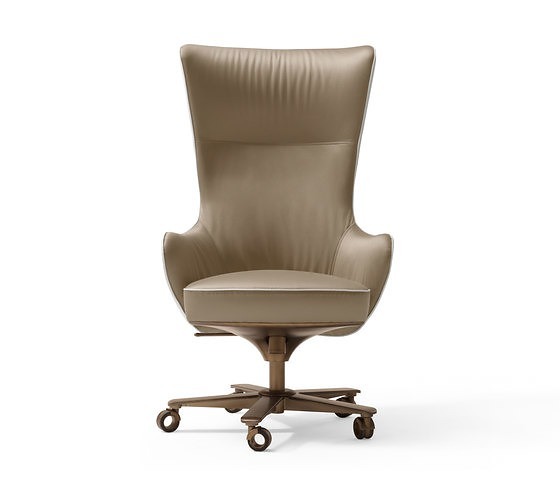 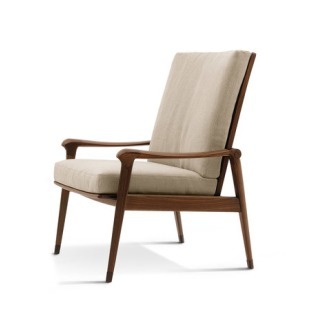 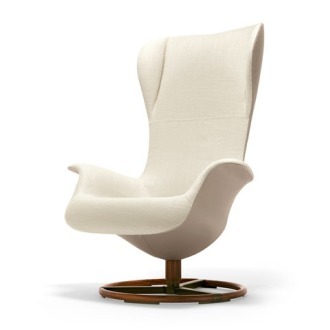 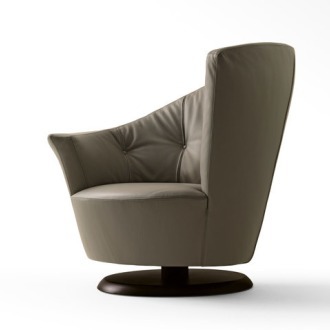 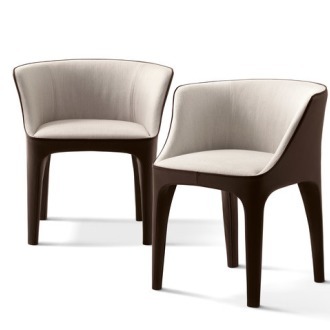 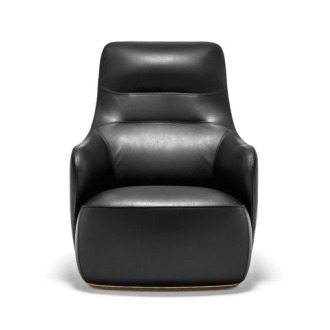 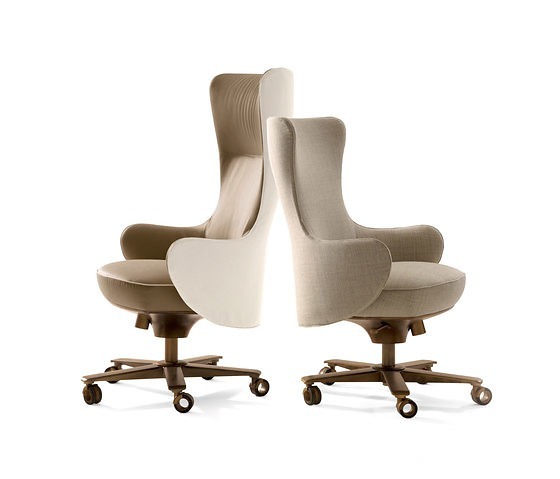 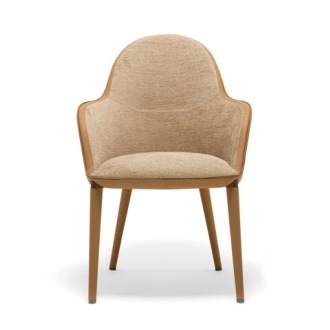 It is available in the following versions: executive wing chair or guest chair. 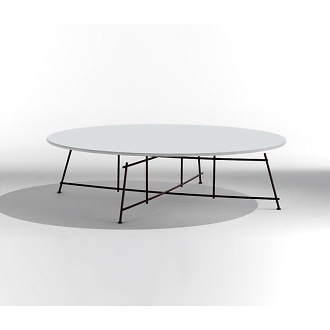 They both have a 5 point revolving base, rotating castors, gas spring for height regulation and a tilting mechanism for positioning. 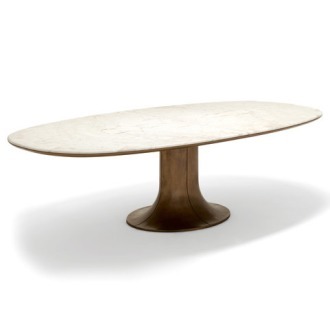 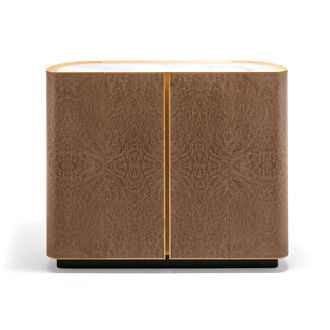 The wheels, the base and the connection between the base and the seat are painted in a bronze colour with natural effect. 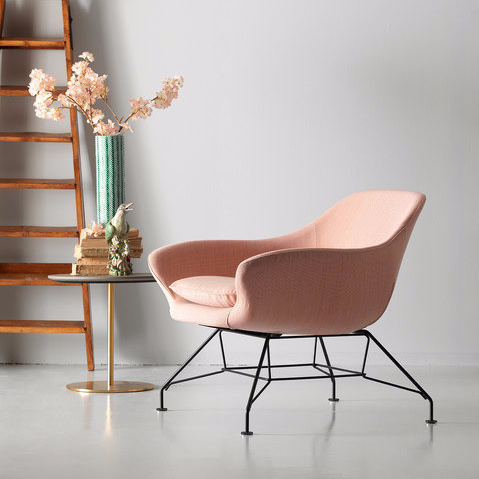 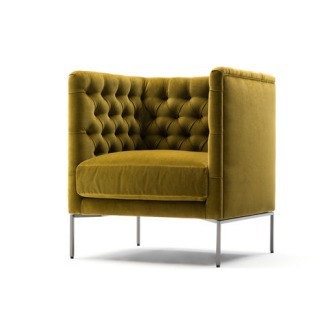 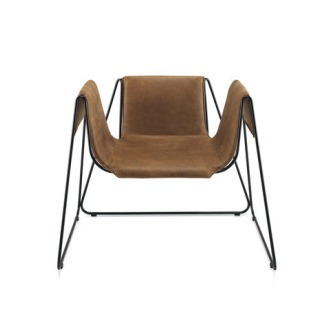 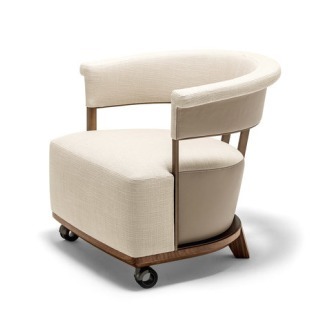 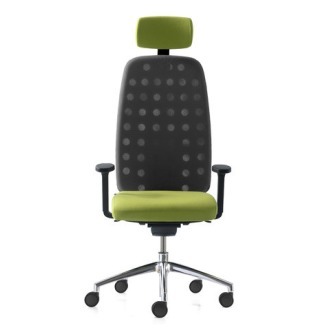 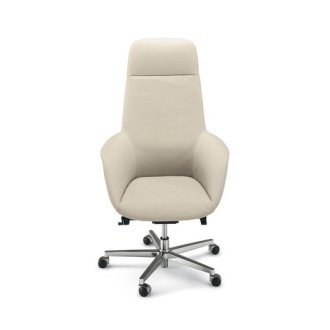 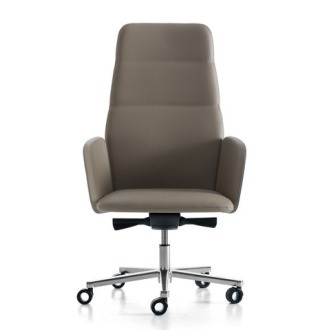 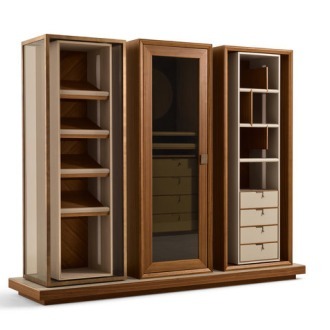 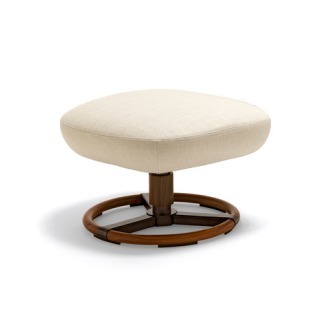 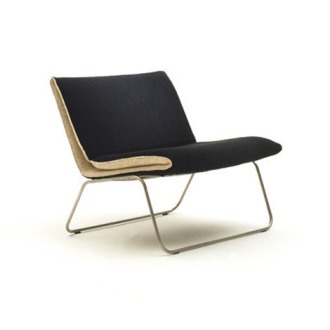 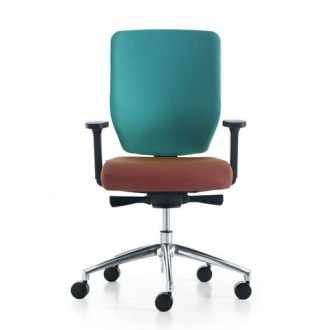 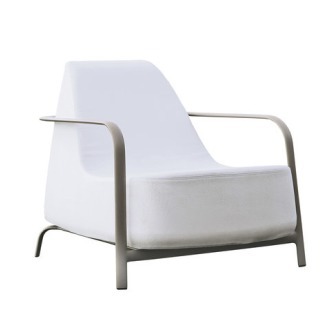 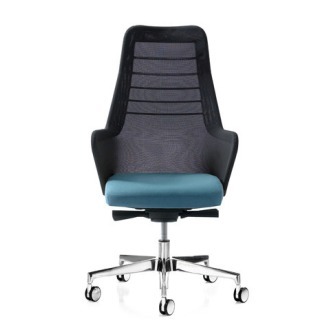 The not removable upholstery is available in fabric or leather in one colour or in two colours with the external side in leather and the internal one in fabric or leather.